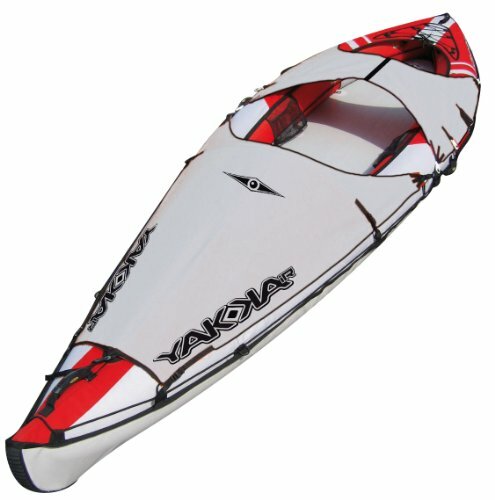 Kayak World Products is delighted to present the brilliant 31601 BIC Yakkair-2 Deck Cover. You can recognize a professional kayak by a simple thing the concern and the love with which the owner take care of it. A deck cover like this beautiful 31601 BIC cover, featuring the YAKKAIR logo and a symbol of a kayak in black on the light gray background, makes the difference! It is practical, durable, easy to mount and it looks great! Just take a look at that unbelievable small price!